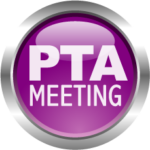 This month’s PTA meeting will be on Tuesday, February 19th at 8:30 am. Please join us to hear about upcoming events and fundraisers. The meeting agenda will be posted closer to the meeting date.